LIVERPOOL, N.Y., March 21, 2019 — Cascade and Maverik Lacrosse, the industry leaders in head protection and lacrosse equipment, announced today that they’ve added Max Adler to the company’s world-class pro roster. The recent signing of Adler brings the face-off position experience and expertise of a 2018 MLL Champion, Team Israel Face-Off Specialist, NCAA Collegiate All-American and coach of the nationally recognized Face-Off Factory training academy. 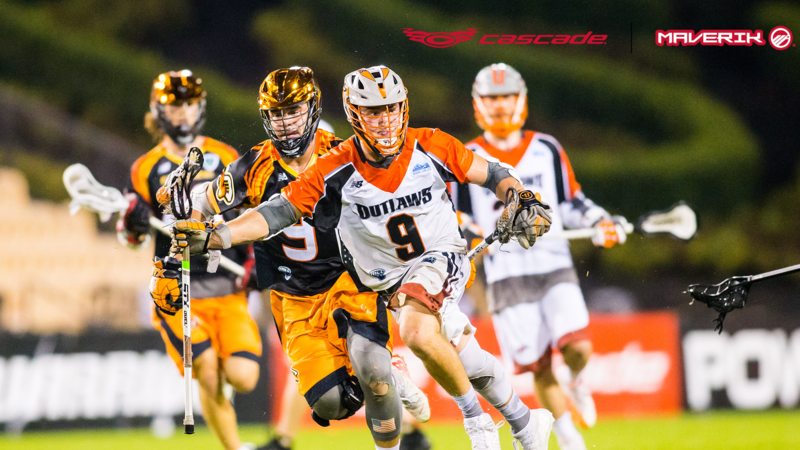 Adler is a current member of the MLL’s Denver Outlaws capturing the 2018 Championship while boasting the #1 Face-Off win percentage at the conclusion of the season. In July of 2018, he also competed in the 2018 World Games for Team Israel leading them to the team’s highest ranking of #7 in the world. He started his career at Bentley University racking up Two-time All-American, Academic All-American and Three-time All-Conference honors for his performance on-and-off-the-field. Max Adler will be wearing the latest Cascade helmets and be outfitted in Maverik’s complete line of New Rome gloves, arm pads and speed pad along with a complete line of heads and handles. Adler will begin his chase for the 2019 MLL Championship on May 31, 2019 when the Denver Outlaws head to Hempstead, NY to take on the New York Lizards. Based in Exeter, N.H., and founded in 2005 by All-American professional lacrosse players, Maverik Lacrosse is a leading lacrosse manufacturer of heads, shafts, complete sticks, a complete line of protective gear, and accessories. With a best in class design team & input from the games top players, Maverik Lacrosse creates, tests and develops market-leading products, so athletes at all levels can play their best. As the leading provider of product across the NCAA, Maverik prides itself as being “powered by the player.” For more information, please visit www.MaverikLacrosse.com or join the conversation on Instagram @maveriklacrosse (men’s) and @maverikWLX (women’s). Based in Liverpool, NY, Cascade Lacrosse is the #1 manufacturer of lacrosse head protection for male and female athletes at all levels of the sport. Since 1986, Cascade prides itself on building and delivering high performance game-changing headgear, manufactured in the USA. Cascade was founded with a “passion to protect” and measures itself on user-experience. For more information, please visit cascadelacrosse.com or join the conversation on Instagram @cascade_lacrosse (men’s) and @cascadeWLX (women’s). Since 1986, Cascade has established itself as the leader in the lacrosse head and eye protection for male and female athletes at all levels of the sport. Cascade prides itself on building and delivering high performance game-changing products, driven by its “passion to protect” ethos. All Cascade products are manufactured in the USA, and success is measured by user-experience.